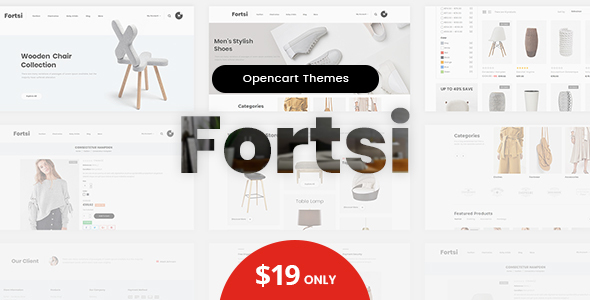 Fortsi Minimal OpenCart Responsive Theme is perfectly designed for fashion, clothes, accessories, bag, shoes, apparel, jewelry, diamond, furniture, lighting, minimal and multipurpose purpose store. This theme is looking good with colors combination. It is very nice with its clean and professional look. This OpenCart theme is suitable for small to medium business owners who want to sell their products online. We have included OneClick (QuickStart) package witht this theme to get a replication of our demo theme installed on your website with same demo content, graphics, theme settings & layouts etc.